There's probably some funny or inspiring quote I could use here to talk about why it's important to have a business card on you. But I'm lazy and don't feel like searching for it. If you travel full time, you really should have a business card, though. And it should be informative and memorable. I've been designing business cards for a really long time, so when it came time to get some made up for BareNeckers, I knew I could make it look halfway decent. But I wanted to find a way to make them stand out. Thankfully, I ran across a printing company called Moo. Moo feels the same way I do about business cards, and they put everything they've got into delivering anything but run of the mill products. One of these products that stuck out as a perfect solution for us was "Printfinity." This lets you have one design on the front and variable designs on the back. Since we travel, I thought it would be an awesome way to showcase different places we had been while also being a great conversation starter when I handed that card over. 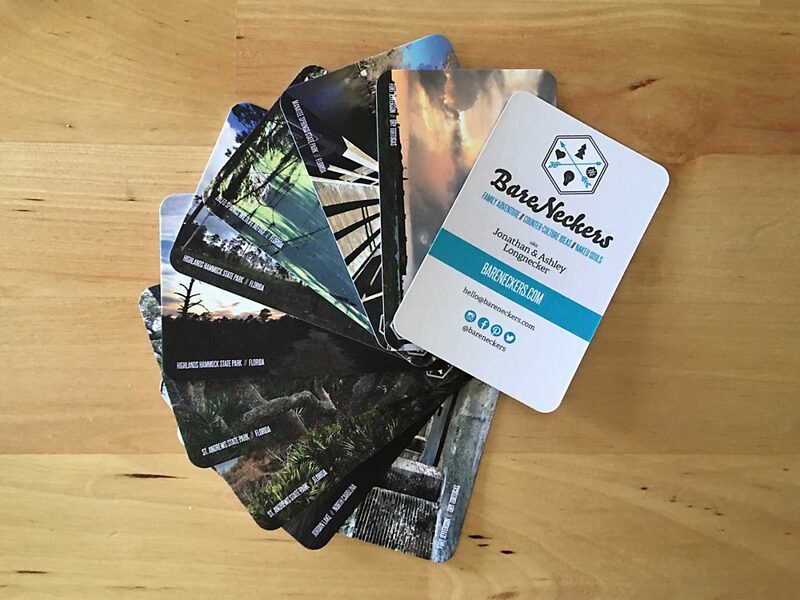 We can even let people pick which card they want based on the picture and location on the back. Going through all our pictures, picking the best ones and getting all those card files setup was a ton of work, but Moo's online project builder made uploading everything a snap. We got them several days later and we couldn't be happier with how they turned out! If you'd like to snag some Moo cards, I've got a special link that saves you 10% off your first order, and we get a little "moolah" to put towards the next run of our own cards. And Printfinity isn't the only cool card they make. There's lots to explore over at Moo. Check it out! Get some Moo Cards and Save 10%!